FINALLY! A Pantone Color of the Year I can actually get behind! In recent years, I haven’t been obsessed with the colors that Pantone has announced as their Color of the Year — especially last year’s ultra-violet. If you know me, you know that I really don’t like purple! My mom was excited about the 2019 pick because she already has a nice coral color palette in her home — lots of orangey-corals and blues are woven throughout her living room, family room and bedroom. I also have some pops of this shade in my place — namely on my Safavieh rug that always gets TONS of compliments. It’s seriously so colorful and soft and totally brings the room together. I decided to do a little searching on Pinterest for living coral inspiration, and was surprised when I came up short. If you search for “coral bedroom” or “coral living room inspiration” you’ll find a lot of beach house imagery (think aquas, whites and bright coral), as well as junior/teen-looking styles that remind me a lot of my college dorm room (which coincidentally, had a lot of coral things going on!) Nothing I saw on Pinterest felt elevated to me. On the flipside, I also saw some very dated looks using coral (upholstered furnishings with matching pillows and wallpaper? Ugh). But what about incorporating coral into my style: that eclectic, warm, lived-in vibe that is a mix between Anthropologie and West Elm but still unique to me? Where can coral come to play in that type of space? 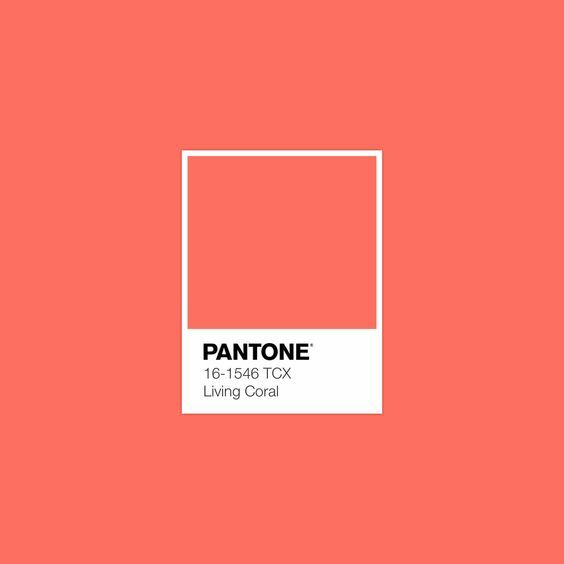 After perusing the web, I was able to put together an inspiration board of Living Coral that feels elevated, cozy and without seeming “young” or beach-themed. Take a peek at some home inspiration and a few favorite coral items for sale right now. Are you a fan of this year’s Pantone Color of the Year? Let me know in the comments! All photos and items linked out on my Pinterest board — none are my own.